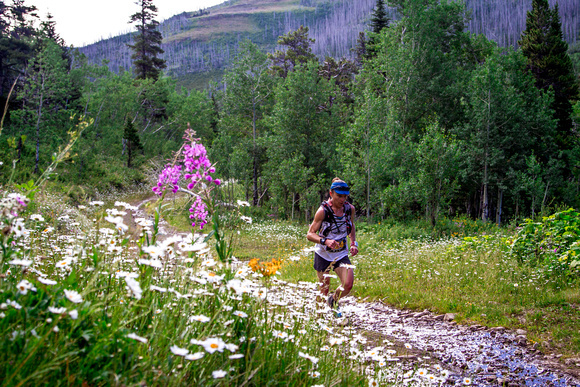 Welcome to the Sinister 7 Ultra — a race that may be the greatest challenge of your life. 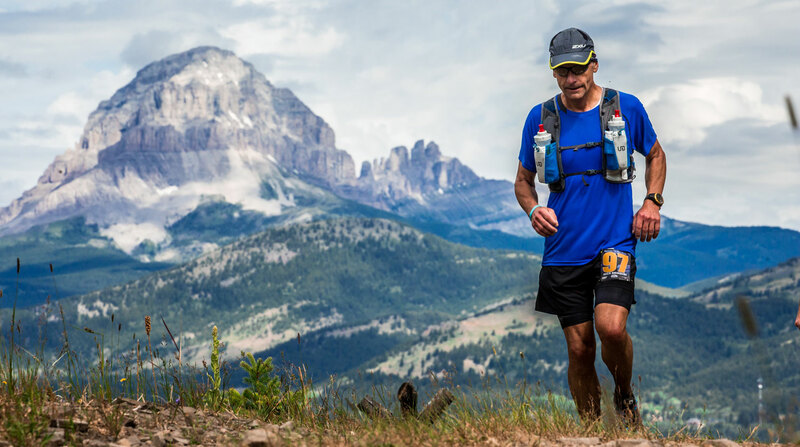 The 100 mile (161km) course will take you through the most rugged, remote and beautiful terrain in Alberta's stunning Rocky Mountains. With 6,400m of elevation gain across the course, this race will punish those who are not prepared. 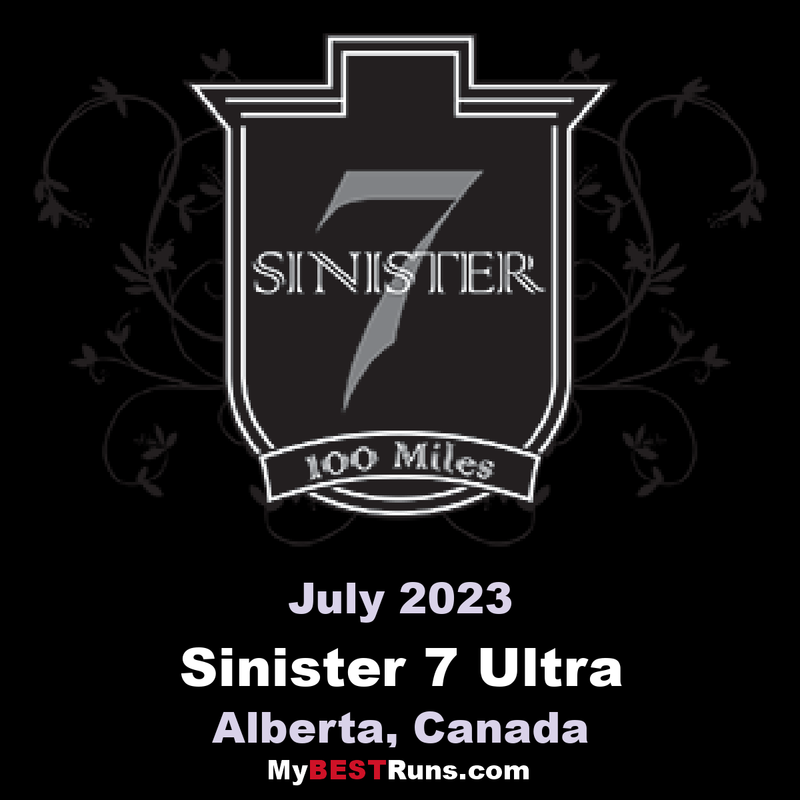 The Sinister 7 is open to solo runners or teams of up to seven and racers have 30 hours to complete the grueling event. The course is split into seven stages, each featuring a geographic and historic highlight of the area. The race's name is inspired by the treacherous Seven Sisters Mountain that looms over much of the course. Every year we get a lot of questions about Sinister 7 Ultra, especially about the difficulty of the race. So what are you getting into? This race is tough. We hope that is clear and we don't want to sugar-coat it in any way. This race will beat you up. For some it will be the hardest thing they have ever done. We created this race to be a wicked hard challenge where you compete mostly against the trail and your own demons, hence the name. There will be dead-fall to climb over. There will be creeks and bogs to cross. The trails will be wet - in fact some of the trails become creeks after it rains. You will fall on wet roots and rocks a few times. You will be gored by branches while running steep single-track. If you cannot finish the race in 15 hours, you will be running in the dark. There is also a likelihood that you will suffer some effects from high heat, and then quite possibly become hypothetic at night when the temperature drops. The sky can be clear with 35˚ Celsius, and then send biblical rain and hail a moment later. Every year this race puts a few people into the hospital. If you don’t keep your head up, you will also get lost. You will be in the wilderness and you need to be self-sufficient. To top that off, we won’t apologize if you suffer from any of the above. Our race crew will assist, applaud, and push you along the way. Our volunteers will be a lifeline when you need some encouragement, a helping hand, and a friendly face. Our medics will patch you up and push you out the door again. Your mind will give you a million reasons to quit, but you need to decide that it’s more important to keep going. Does this mean that you shouldn’t come to the race if you are not in peak physical condition? No, not at all. If anything, S7 is more of a mental challenge than physical. What it means is that everyone needs to give every ounce that they have while they are at this race. Nothing else will get you through. If you are prepared for that, you will eat the S7 for breakfast. We have watched 14-year-olds smash records, and we have seen seasoned runners fall to fatigue. Your last best race time is totally irrelevant out here. You must be prepared to dig deep to get through the challenges this course throws at you. This is not meant to discourage anyone - actually it’s completely the opposite. We want everyone to be realistic about what they are up against. We put together a great venue and it’s up to each person to get the most out of it, despite (or because of) the tough conditions. This race brings out the best and worst in people, and we want everyone to reach for their best no matter what happens. The reward is something that cannot be described. It comes in this electricity you will feel when you are at the race, and when you accomplish what you are after. That comes from you. You and the trail - that’s it. Now... are you ready?